Is Hillary Clinton’s tuition plan doable? Massachusetts education leaders strongly praised Hillary Clinton’s new plan to make college more affordable, but questioned how the state, which faces perennial budget deficits, would afford the costly program. Clinton’s plan, widely seen as an attempt to appeal to Bernie Sanders’ young supporters, would eliminate tuition at in-state public colleges and universities for families that earn up to $125,000 a year. The policy would cover more than 80 percent of families, according to the Clinton campaign. Tuition aid, estimated to cost the federal government $350 billion over 10 years, would be given to states that provide some matching funds and take steps to cut costs and boost graduation rates at public colleges and universities. States, including Massachusetts, have been providing fewer resources for scholarships and student aid in recent years, Meehan said. Will Bernie Sanders offer a long-awaited endorsement of Hillary Clinton? “This would help reverse that trend,” said Meehan, a former Democratic US representative. “The key is whether or not the states will step up” and provide the matching funds needed to unlock the federal support. 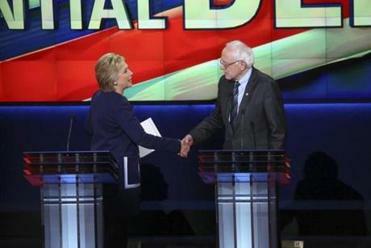 By proposing the benefit last week, Clinton was moving closer to Sanders’ pledge to provide free college tuition for all, which helped him galvanize massive support from young voters during his hard-fought campaign for the Democratic presidential nomination. After praising Clinton’s plan, Sanders is expected to formally endorse Clinton at an event in New Hampshire on Tuesday. Under Clinton’s plan, families would still have to pay an unspecified “affordable and realistic contribution” and students would be expected to contribute their earnings from 10 hours of work per week. Clinton would also restore year-round Pell Grant funding, in an effort to help low-income students afford summer classes. And she would grant a one-time three-month moratorium on federal student loan payments, to give students breathing room to refinance and consolidate debt. Clinton’s campaign said the program would be paid for by limiting certain tax breaks for high-income taxpayers. It did not respond to several requests for additional details. Chris Gabrieli, chairman of the Massachusetts Board of Higher Education, said he liked that the plan provides more federal aid while also pushing public colleges and universities to lower the cost of a degree. “Like all grand bargains, it puts some money on the table and it uses it to induce states and universities to face the fact that we have to bring costs down and quality up,” said Gabrieli, a Democrat who was appointed to the board by Governor Charlie Baker, a Republican. 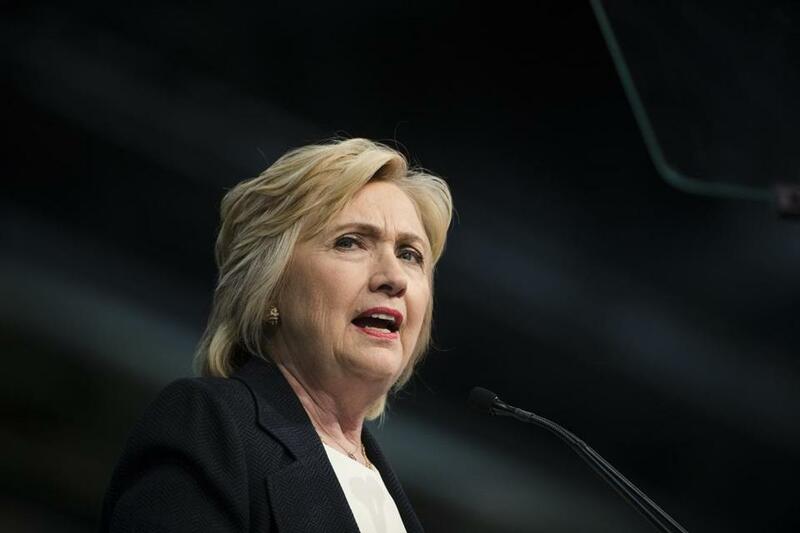 Clinton’s promise to deliver additional federal aid could also encourage Massachusetts lawmakers to restore state higher education funding that was slashed during the 2008 recession, Gabrieli said. Asked to comment on Clinton’s plan, a Baker spokeswoman responded with a written statement that pointed out that the governor released his own college affordability initiative in April. That plan provides 10 percent rebates on tuition and fees to certain qualifying students. Budget watchers pointed out that Clinton’s request for additional education spending would face a tough road in a Republican-controlled Congress and on Beacon Hill, where Baker and the Democratic House speaker, Robert A. DeLeo, have vowed not to raise taxes. Massachusetts, despite an improving economy, has also faced annual deficits driven in part by rising health care costs. Last month, officials warned that the state may be facing a nearly $1 billion shortfall in the current budget year, due to less-than-expected revenue collections. Noah Berger, president of the Massachusetts Budget and Policy Center, a left-leaning research group, agreed that requiring states to provide matching funds could be a challenge, depending on how the program is structured. But he said there is “a very strong case” that when states help students graduate from college debt-free, both students and the economy benefit. Advocates agreed, saying the plan would ease a crushing financial burden on young people, even if it does not go as far as Sanders’ promise to eliminate tuition for all, regardless of income. The funding crunch, she said, is one reason her group supports a proposal, backed by unions and liberal groups, to impose an additional tax on those who earn more than $1 million dollars in a single year. Because the change would require an amendment to the state constitution, that plan faces a series of legal and political hurdles before it could appear before voters on the ballot in 2018. Michael Levenson can be reached at mlevenson@globe.com. Follow him on Twitter@mlevenson.